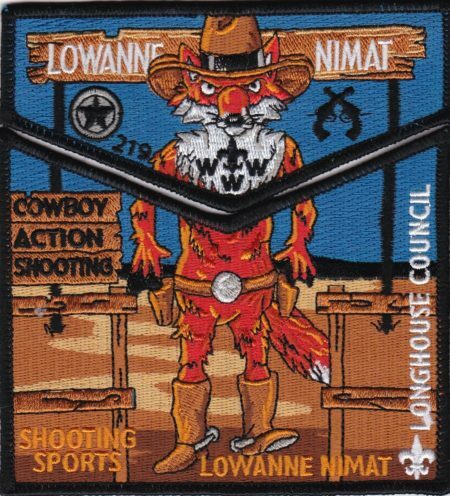 Lowanne Nimat issued a fundraiser set to help support the Shooting Sports program at their camp. With a gun toying wild west fox. PatchScan says 100sets were made of this issue.